And Then There Were None meets Alien in this locked-room, SF-thriller, which grips you from the first scene in the frozen depths of space. On the generational starship, Dormire, Maria bolts awake in a cloning vat, her core-self freshly imprinted after she was killed. 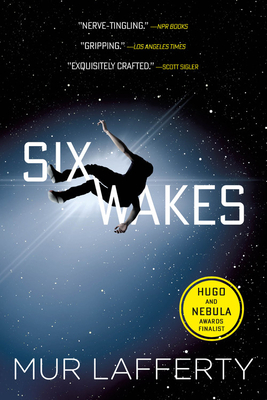 Five other crewmates have been brutally murdered, and their new incarnations awake near their own floating corpses. The artificial gravity is off, the ship is far off course, and the A.I. that runs the ship is starting to reboot. The cloning machine that saved Maria has been sabotaged, so if someone kills her now, there’s no coming back. One of the Dormire’s crew is the murderer; problem is, all of them have blood on their hands. Two thousand hibernating souls will never revive if she doesn’t stop the killer before she dies again.